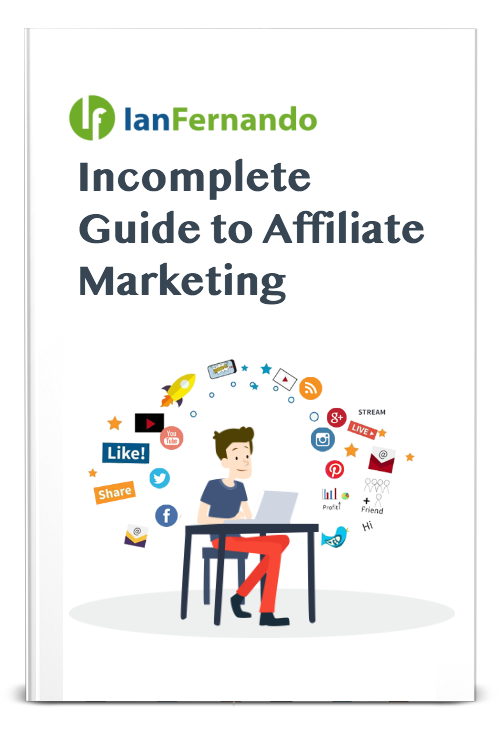 THE MOST INCOMPLETE AFFILIATE MARKETING GUIDE EVER CREATED. The Missing Strategy is YOU! Users who want to know what affiliate marketing is. Beginners who want to understand the amount of work involved. Students who wants access to resources needed to succeed. Quick overview of some of the topics that I discuss in my guide. Understanding how to tackle a niche and finding the right resources to tackle such niche. Writing down the process once strategized. There are several type of sales people and there are different types of affiliates from CPS to CPA to CPL to even revenue sharing. Just like Amazon, data allows you to optimize your campaigns base on the user experience and gives you a potential demographic of the user. Online marketing can be too much work, but there are tasks that can be sourced. Once you have mastered the process, give it to someone else. Each traffic sources reacts differently. This guide provides an index of sources and how each one interacts with your ads. With 73 pages of updated informative content, there is a lot to cover in the world of online advertising and affiliate offers. This guide gave it to me straight to the point. Showed me the venues of online marketing and how I can utilize traffic exposure to acquire more client leads. Moving from a SEO/Free traffic mindset to paid was scary. Now, I am sending traffic to my blog to affiliate offers which is providing faster revenue than SEO can. Going from a passion blogger to a more serious conversion driven blogger, I have learned how there are many aspects to advertising instead of just writing. Creating online products always needs more traffic, I took this guide and help our affiliates earn more by helping them understand which traffic sources work best. Get your free copy of my 2019 update guide today. Copyright © 2019 by Ian Fernando [dot] com.